An action zombie shoot-em-up. That's literally all that's going on here. It's a consistently fast paced ride going for that cheap dumb fun viewing pleasure. I didn't find much joy on that level, but I was on board for this short mad-cap rush. There's zero character and little story/plot. Felt as though the whole movie was put together just for kicks, and to show off the director's talent. I was impressed with the smoothness of the frantic directing style. The production team does so much with so less. My hats off to them for making such a tiny budget flick seem more visually interesting than most glossy big-budget action movies. Surprisingly fun and highly effective zombie film with a few neat twists: 1) zombies can be used for fuel - it's hilariously dumb and, I'm sure, scientifically impossible, but even so, I liked it. 2) Only people of a certain blood type are immune to the zombie virus and 3) a mad scientist type (with questionable music taste) stumbles upon a way to control said zombies - too bad he finds out too late (a bone saw is involved). Overall, an Aussie mashup that reminded me of Shaun of the Dead (not quite as classic) good, dumb fun all around. Bloody, funny and made in Australia. "Oh sh*t, he wasn't a zombie? No he f*cking wasn't! Is he alright? Is he OK? His head is f*cked!" No posts have been made on this movie yet. 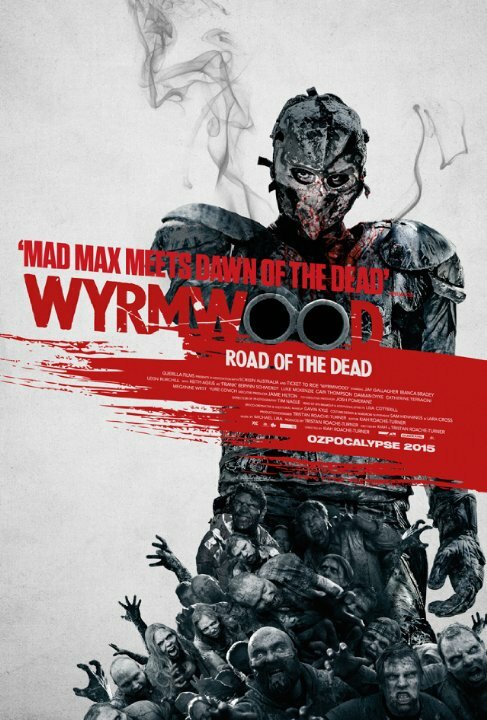 Be the first to start talking about Wyrmwood: Road of the Dead!